If we want to grow as teachers – we must do something alien to academic culture: we must talk to each other about our inner lives. Increasingly, society and public policy is turning toward a realisation that the teacher in the classroom is the most important educational resource and investment in developing the person of the teacher is more crucial even than investment in technology and curriculum reform. As Parker Palmer says, “We teach who we are.” As teachers, and others engaged in education, knowing ourselves is as crucial to good teaching as knowing our students and our subject matter. Taking the time to explore our inner landscape is essential for renewal and formation of teachers and leaders in education. In their seminal 2002 study on the reform efforts of 12 Chicago public schools, authors Anthony Bryk and Barbara Schneider found that enabling positive social relationships between the adults was the key to successful school improvement — and that trust was at the heart of those relationships. Read How to Build Trust in Schools from the Huffington Post. Director of WholeHearted, Greg Sunter, has worked in education for more than 25 years. His experience and expertise includes: Ministry with Young People; Campus Ministry; Classroom teaching; School Leadership; Secondary Education; Curriculum development; Resource development; Education Consultancy; Mentoring and Supervision; Teacher and Leadership Formation; Whole of staff formation; Retreat and Reflection experiences. 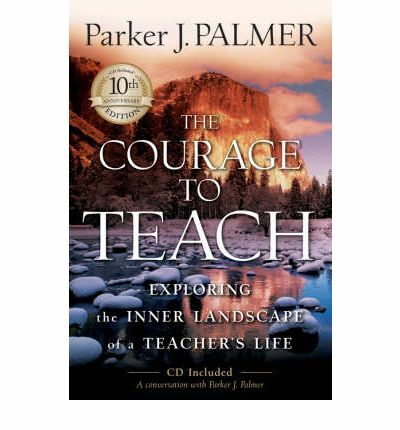 This book builds on a simple premise: good teaching cannot be reduced to technique but is rooted in the identity and integrity of the teacher. Good teaching takes myriad forms but good teachers share one trait: they are authentically present in the classroom, in community with their students and their subject. They possess “a capacity for connectedness” and are able to weave a complex web of connections between themselves, their subjects, and their students, helping their students weave a world for themselves. The connections made by good teachers are held not in their methods but in their hearts — the place where intellect, emotion, spirit, and will converge in the human self — supported by the community that emerges among us when we choose to live authentic lives.